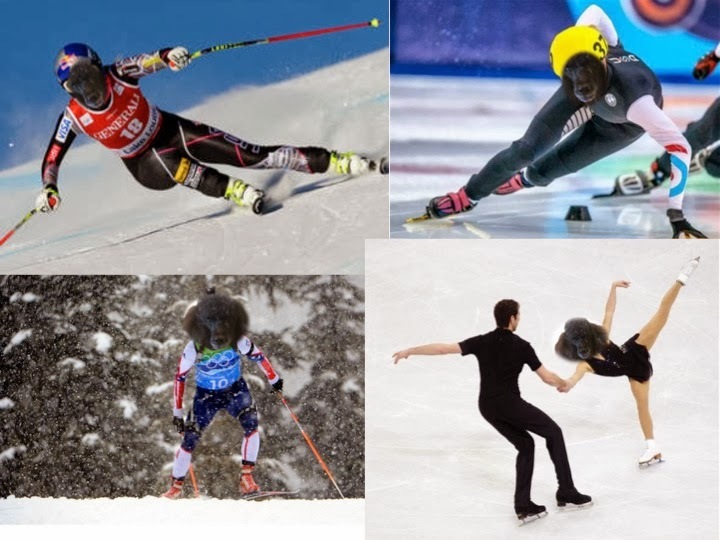 We are so excited about the Winter Olympics. Annie and I discussed what sports we would most like to try. I would love skiing - long distance or downhill, or skating fast or gracefully. Annie is thinking hockey and snowboarding or the unique sports of luge or skeleton. Which sports do you think Annie and I would be best at? Oh those sound like fun Fernando, definitely a gold within easy reach! BearHUG & RosyPoodleKisses! I think you should be an ice dancer, Rosy. You could wear a sparkly pink skating outfit. I think Annie should be a snowboarder. She looks like it suits her perfectly in the photo. It would be so fun to root for you both! Great choices Tikka! Yes, ice skating has the best clothes for sure! And Annie would love to meet Sage to see his Snowboard gold! BearHUG & RosyPoodleKisses! Anything to do with skating; singles, pairs, ice dancing, would be ideal for you Rosy. We could see you in your gorgeous costumes & you would be able to wear a tiara with some. 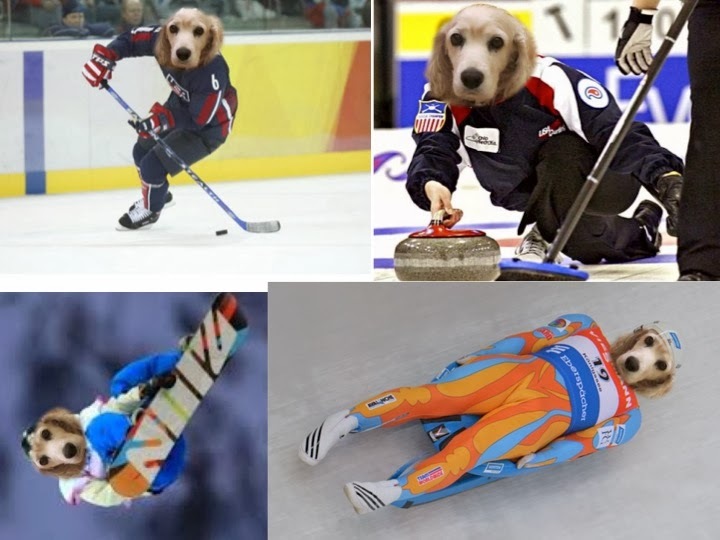 I'd love to see Annie do speed-skating or downhill skiing. I know those were your choices Rosy but I love seeing you in beautiful costumes. Of course you both could do any of those sports you wanted. You could even compete against each other. Yes! A sport where I could wear a tiara does sound perfect ! Annie thought hockey is fun on skates - and she is interested in the jump on skis. We can't compete, cause I have to be her coach of course! BearHUG & RosyPoodleKisses! Thanks! Yes, we can be amazingly athletic in our minds! You should try it! BearHUG & RosyPoodleKisses! Oh you are too sweet ! I aspire to be as good as the 15 yr old Russian girl figure skater - Yulia - at least in my dreams! BearHUG & RosyPoodleKisses!